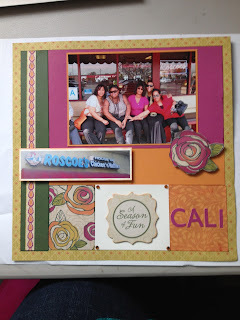 I started a scrapbook of my time spent in California in March after attending the going home service for my grandfather. While the occasion to go back home wasn't a pleasant one it was wonderful to reconnect with my relatives. Here are some LO's I completed using pictures from my trip home. 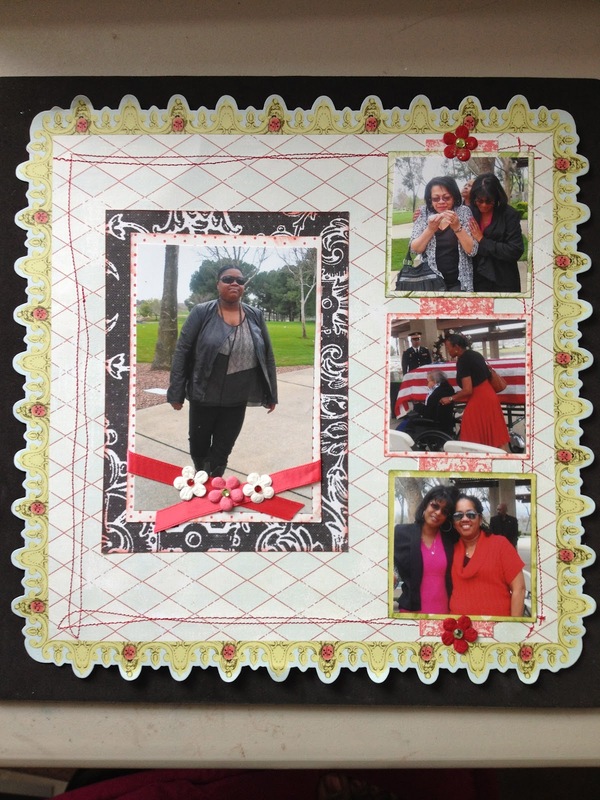 This LO was completed using products purchased at a CK scrapbooking convention make & take. I figured I would put this paper to good use. 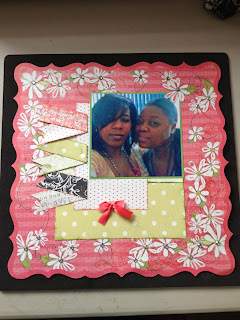 This is a picture of my cousin and I. I used product purchased to create a make & take LO at the CK Scrapbook convention. 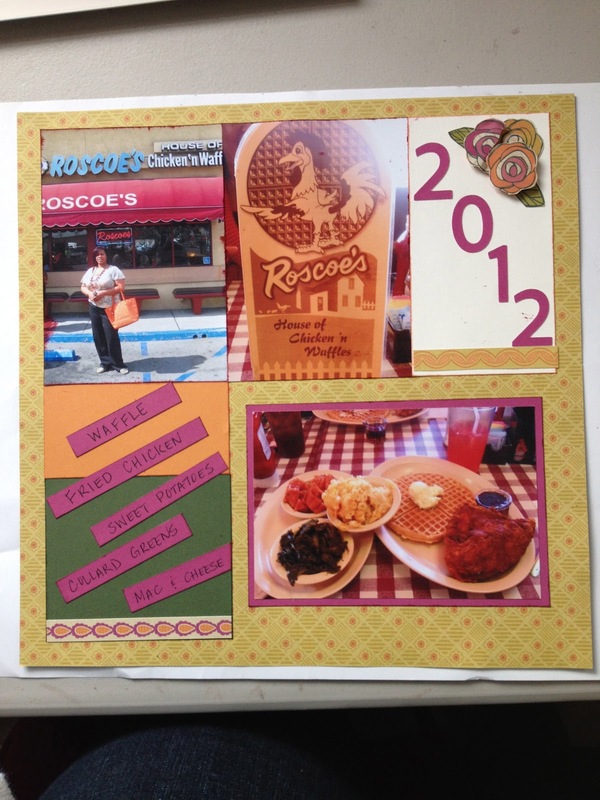 This picture preserves the memories of our trip to Roscoe's Chicken & Waffles. If you have never been there you want to make sure you get an opportunity to dine there in this lifetime. The food is amazing..if you like soul food. 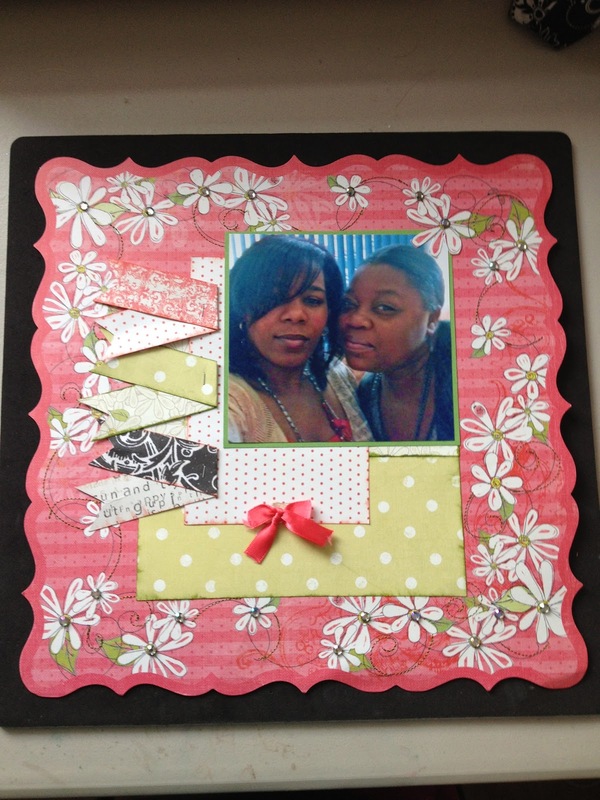 I used the new "Flirty" paper pack X7160B and Flirty Complements Dimensional Elements X7160C to complete this LO. 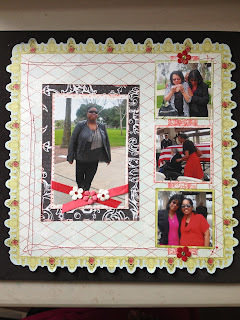 Love the colors and my aunts shirt coordinates well with this paper. 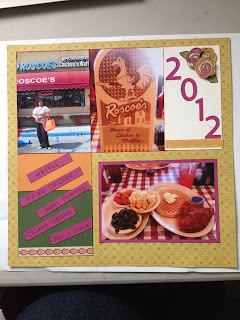 Here is another picture capturing the moments at Roscoe's. That is me standing in front of the building. I also made sure I took a picture of my meal. Yes, a lot of food I know but it was yummy and I took a doggie bag home for later. If you would like to purchase the "Flirty" paper packet and Complements Dimensional Elements you can do so from the below website. Cute layouts! I sure do miss Roscoes, there is no place like home. 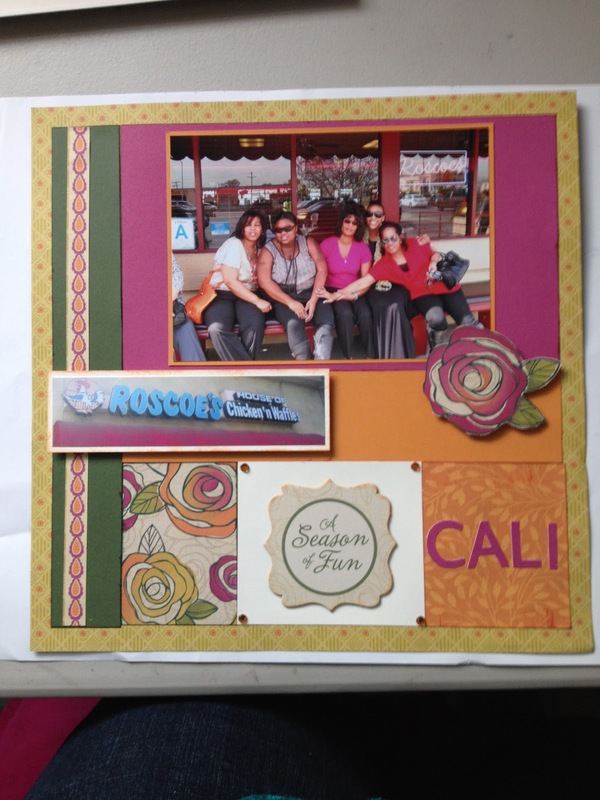 :-) I think I have a few pictures I need to scrap, from when I went in Dec. LOL...I miss Roscoe's too. Didn't get a chance to get there the last time I was in L.A. You did a nice job with these layouts. Thanks ladies!! I hadn't been back home since 2005 and it was a nice treat to go to Roscoe's. Awesome LO's, love them all. The first one really touched me. Girl you got me wanting to jump on a plane..! !